​The firefighter's Burn Fund Victoria, BC has been an amazing supportive sponsor since John started speaking in 2002. They are a great organization that deserves a ton of credit. The Firefighters Burn fund Victoria, BC is a non-profit volunteer society dedicated to the treatment, support, prevention and education related to burn and fire injuries. All donations are used exclusively to support the aims and projects of the Burn Fund, including the maintenance and upkeep of The Burn House. The Fire Fighters Burn Fund was founded in 1978 by two fire fighters from the Victoria and Oak Bay fire departments. Now called the Fire Fighters Burn Fund Victoria, BC it is supported by firefighters from Victoria, Oak Bay, and the Department of National Defense. The fund supports the prevention and treatment of burn injuries. This includes the purchase of medical equipment for the Burn Unit at Royal Jubilee Hospital, patient and family support (including the Burn House) and fire and burn prevention programs in the community. 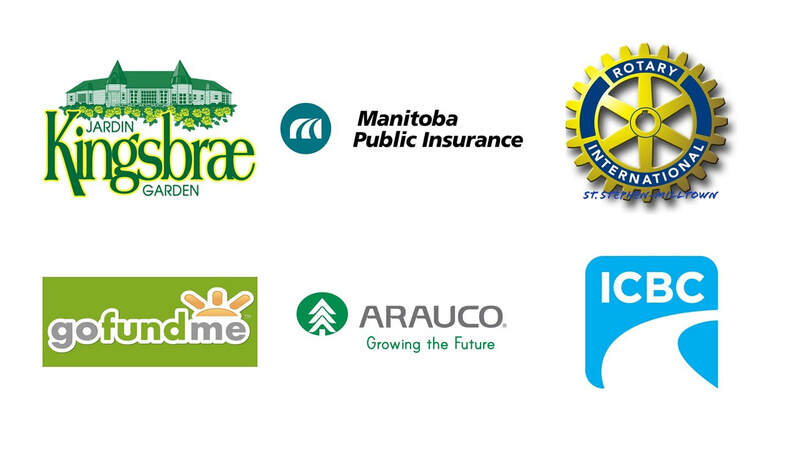 Here are Sponsors of previous tours and engagements John has spoken at. Please take a moment to visit their websites. ​Discover the real power in being personally responsible and accountable in all areas of life.